Hair growth is a common hair care concern with many books, websites, and products devoted to it. Natural and synthetic oils have been used as ways to promote hair growth as a part of different hair care treatments and regimens. 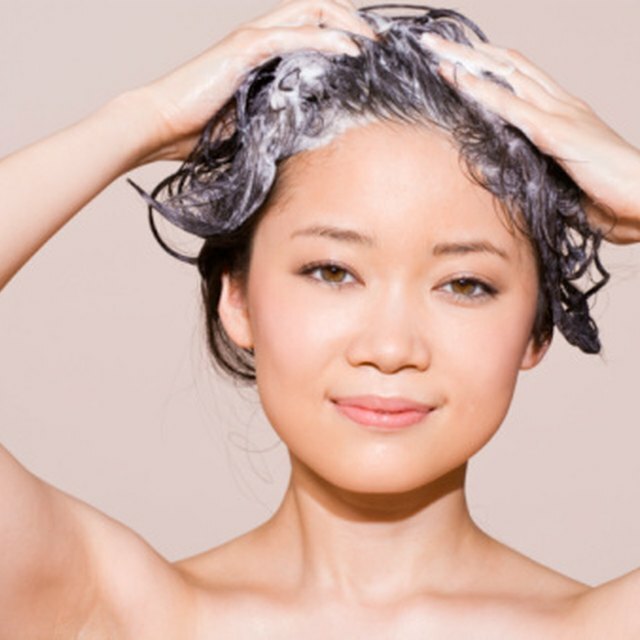 However, with a growing concern over the use of man-made chemicals in hair care products, many are seeking natural and homemade treatments that will promote hair growth. The use of banana oil in hair care products has sparked questions about its usefulness in hair growth in different hair care forums on the Internet. Learn more about the banana and banana oil for hair growth. According to P&G Beauty Science, hair grows in three distinct phases - Anagen, the growth phase; Catagen, the resting phase; and Telogen, hair's shedding phase. There are no known products or treatments that can increase the rate of growth during the Anagen phase. Sometimes, hair loss occurs before the Telogen phase begins from varying factors. Two of the most common factors attributing to abnormal hair loss are hair stress and dead skin on the scalp. There are products and treatments available that can facilitate or promote healthy hair growth by decreasing the stress placed on the hair and removing follicle-clogging dead skin from the scalp. The banana is widely used in many hair care products. The banana is predominately used in conditioners and hair creams because the fruit is believed to have moisturizing properties that help to soften the hair making it more manageable. Many homemade hair masks contain mashed banana in them with user claims that their hair became easier to style and was softer to the touch. This property of bananas promotes healthy hair growth. By leaving hair easier to style, less stress is placed on the hair and scalp due to tugging from combs and brushes. The more stress placed on the hair, the more likely it is to break or be pulled out of the hair follicle. Banana oil or Isoamyl Acetate is not derived from bananas. Sometimes called amyl acetate, this chemical compound is man-made in a laboratory and smells like bananas. Banana oil is a potent compound that is used in a variety of areas such as food flavoring, a solvent for certain chemicals, use in manufacturing film, and extracting penicillin. This oil is widely used in perfumes, aromatherapy products, and massage oils. Banana oil is used in many beauty products such as tanning oils, lotions, and various hair care products. The purpose of banana oil in beauty products can vary. Some beauty products with a fruity flavor to them contain banana oil for this purpose. Some products use banana oil as a perfume to give their product the "tropical" fruit smell of bananas. Sometimes the oil is used as a solvent for other ingredients in beauty products. Unfortunately, banana oil has no effect on the hair. What it does do in many hair care products is perfume them making them pleasant to use. Massage oil fragranced with banana oil can be used on the scalp as a part of a scalp care regimen. Massaging the scalp stimulates blood flow to the hair follicle and helps to loosen dead skin cells that can block the hair follicle allowing the hair to grow uninterrupted. Since banana oil can be used to perfume and add flavor to different mixtures, a drop or two mixed in with your favorite hair conditioner or hair oil will leave your hair smelling like bananas. If you notice any scalp irritation after using banana oil on your scalp, stop use of the oil or oil-containing product immediately. Your doctor should be notified, as this could be the sign of an allergic reaction to banana oil.